A bit less than a year ago, we wrote about our deployment pipeline with Kubernetes. That blogpost details how we leverage Gitlab CI with Docker & Kubernetes to create disposable Magento testing environments. We now have tackled this issue and in this blogpost I’ll explain the why and the how. Why anonymize the database ? When we set up a review environment for our clients, we download the database from our backup location on Amazon S3. We store three versions of the database there; the full backup including all customer and order data, a stripped version without any customer or order data and recently, also an anonymized version where all personally identifiable information has been anonymized, that is; replaced with fake data. When working with customer data, we feel it is our duty to handle these as carefully as possible to avoid data leakage (not to mention GDPR). The best way to avoid data leakage is to avoid using the data in the first place, which is why we decided to only ever use the production data when it is absolutely necessary. For development and testing purposes, we usually use the stripped database. Sometimes however, this empty database isn’t enough; we need some actual data to test certain features or bugfixes. This is where the anonymized version comes in. We started by looking at the systems that were available to anonymize databases. We found two that looked interesting, we’ll discuss them here. This Magento extension does pretty much what we want; it uses the popular fake data generation package fzaninotto/Faker to replace the actual values with fake data. 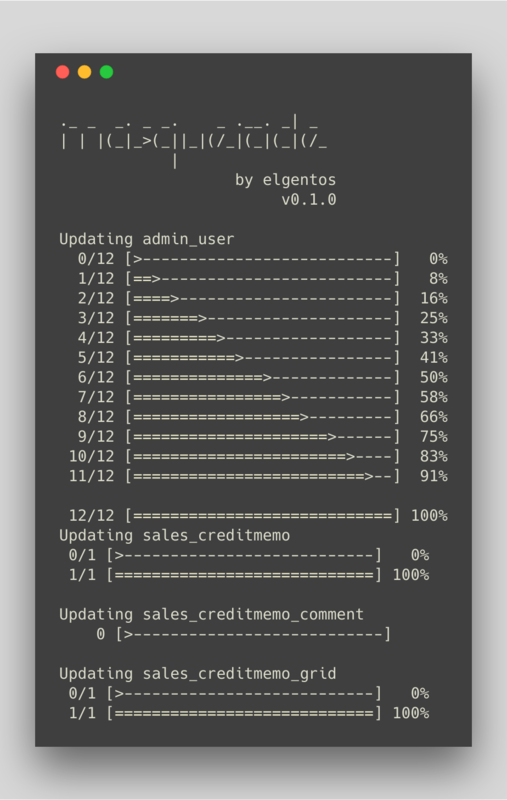 However, this is a Magento 1 extension and we migrated (almost) all our clients to Magento 2. Porting it would’ve been an option but we felt like a Magento extension wasn’t the most flexible way to do this; we’d actually need a Magento installation up and running to anonymize the database and we didn’t want to do that. This is a Magento 2 module that basically does the same as the integer-net Magento 1 extension. Unfortunately, its still a Magento 2 extension and not a standalone tool. It also doesn’t offer any customization options. It does use names from personas from Game of Thrones, so that’s cool. This project looked a lot more promising and indeed, it is a pretty impressive package. Even so impressive, that we felt the large plethora of options were a bit too much. We had a hard time getting it up and running, mainly because it’s written in Ruby, which most of the devs at our company aren’t too familiar with. We feel more at home with PHP-based packages. We worked with Ruby in the past when we used Capistrano and when we moved to its PHP-based clone Deployer, we were better off since everybody could work on the project instead of just the people with enough Ruby experience. We decided to write our own. We’re developers after all! It needed to be a standalone PHAR application (no extension or package for a certain framework). This is why we built Masquerade. Masquerade can anonymize a MySQL database for you following a set of rules configured in YAML files. Each YAML file refers to a group, which can contain multiple database tables, each with multiple columns. You can find more information about how to download, install and run Masquerade on the Masquerade Github page. We wanted to have our anonymized databases readily available at the tip of our fingers (or for our review app deployments) so we needed a way to anonymize the production database nightly. We were hesitant to run this on the production server since that would increase the chance we’d mistakenly anonymize the production database. After some testing with different approaches, we settled on using Gitlab CI to run this process. We already had Gitlab CI set up with runners that were idle during the night anyway, so why not leverage those to do the hard work? Uploading the dumped database to the S3 bucket. Masquerade allows us to anonymize databases quickly and easily and it does this for multiple frameworks. We also build Laravel applications to support our Magento webshops in various ways and also use Masquerade there to create anonymized databases. Allowing our clients to have a testing/review environment with anonymized data enabled them to quickly test new features without taking an unnecessary risk concerning data leakage.